He began writing poetry in 1973, and received his bachelor’s degree from the University of Colorado Springs in 1975. His first book of poems, Dedications & Other Darkhorses, was published in 1977, followed by Lost in the Bonewheel Factory in 1979. During this time, he earned his MA and MFA in creative writing from Colorado State University and the University of California, Irvine, respectively. 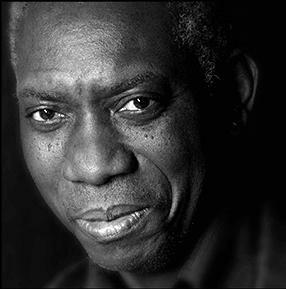 Komunyakaa first received wide recognition following the 1984 publication of Copacetic, a collection of poems built from colloquial speech which demonstrated his incorporation of jazz influences. He followed the book with two others: I Apologize for the Eyes in My Head (1986), winner of the San Francisco Poetry Center Award; and Dien Cai Dau (1988), which won The Dark Room Poetry Prize and has been cited by poets such as William Matthews and Robert Hass as being among the best writing on the war in Vietnam. Since then, he has published several books of poems, including The Chameleon Couch (Farrar, Straus and Giroux, 2011); Warhorses (2008); Taboo: The Wishbone Trilogy, Part 1; Pleasure Dome: New & Collected Poems, 1975-1999 (2001); Talking Dirty to the Gods (2000); Thieves of Paradise (1998), which was a finalist for the National Book Critics Circle Award; Neon Vernacular: New & Selected Poems 1977-1989 (1994), for which he received the Pulitzer Prize and the Kingsley Tufts Poetry Award; and Magic City (1992). Komunyakaa’s prose is collected in Blues Notes: Essays, Interviews & Commentaries (University of Michigan Press, 2000). He also co-edited The Jazz Poetry Anthology (with J. A. Sascha Feinstein, 1991), co-translated The Insomnia of Fire by Nguyen Quang Thieu (with Martha Collins, 1995), and served as guest editor for The Best of American Poetry 2003. He was elected a Chancellor of the Academy of American Poets in 1999. He has taught at University of New Orleans, Indiana University, as a professor in the Council of Humanities and Creative Writing Program at Princeton University. He lives in New York City where he is currently Distinguished Senior Poet in New York University’s graduate creative writing program.